A company specialising in corrosion protection has launched an environmentally friendly replacement for polycoated and waxed papers. 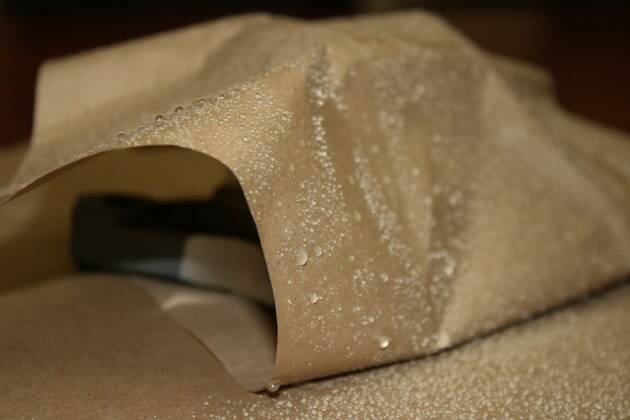 Cortec Corporation's EcoShield Super Barrier Paper and Linerboard addresses the threat of moisture to raw materials and finished goods, especially those made of metal and prone to rust and corrosion. Greases and oils sometimes used as lubricants or rust preventatives on metal components add another problem by threatening to leak through packaging and contaminate surrounding areas. Waxed or polycoated papers are traditional moisture-resistant packaging options for problems like these. However, such coated papers pose an environmental problem because they are not recyclable and repulpable. Even if recycled back into the pulp and paper stream, they would first have to go through a costly process of separating the paper base from the coating. To avoid this problem, Cortec has developed an environmentally acceptable replacement to unrecyclable polycoated and waxed papers. High-gloss EcoShield Super Barrier Paper and Linerboard relies on a water-based moisture barrier coating for moisture resistance. The technology makes the paper fully recyclable and repulpable without requiring costly processes to remove the coating from the paper. In addition to recyclability, Cortec’s EcoShield Super Barrier Paper and Linerboard demonstrated better water vapour barrier properties than polycoated paper and waxed paper during testing, according to the company. EcoShield Super Barrier Paper and Linerboard is designed to be a flexible, moisture barrier material allows it to be used for a variety of packaging applications and beyond.